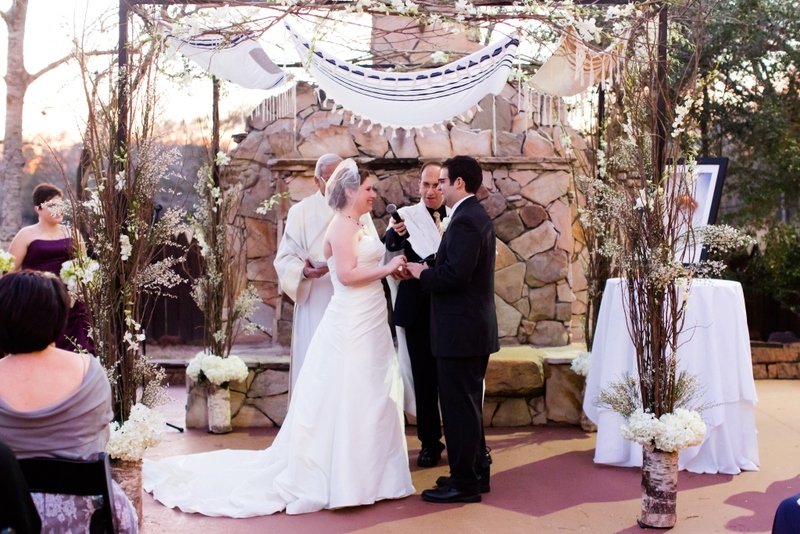 Trying to write an Interfaith wedding ceremony? I've been there! When Dan and I started thinking about our ceremony, we knew that we wanted to represent both faiths as equally as possible. One of our main motivations was making our families feel represented and comfortable. 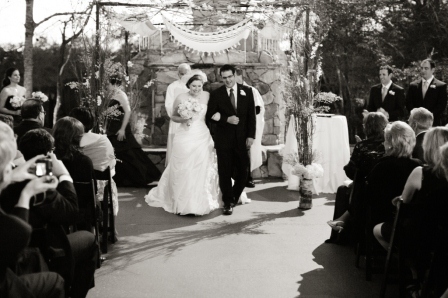 We used the book Celebrating Interfaith Weddings as a guide. It has a number of suggested passages and even suggested ceremonies for interfaith marriages between a Jew and varying branches of Christianity. I highly recommend it if you're in a Jewish/Christian relationship. Some opening words by our Rabbi, welcoming our guests. It included a common Jewish welcome blessing in both Hebrew and English: Blessed are you who come in the name of the Lord. 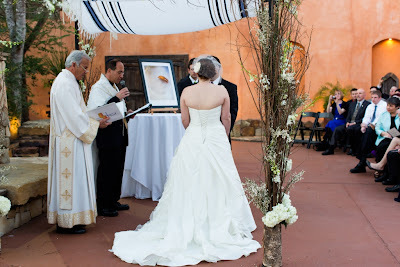 "On their Ketubah, the Jewish marriage contract which will be signed later in the ceremony, Stephanie and Dan begin with a quote from the Book of Ruth: "And Ruth said, ‘Do not entreat me to leave you, to return from following you, for wherever you go, I will go, and wherever you lodge, I will lodge; your people shall be my people and your God my God.’"
Stephanie and Dan chose this verse to emphasize that, though they have some differences of faith and tradition, they ultimately believe in the same God. Today we will honor both the Catholic and Jewish faiths in the rites and rituals of the marriage ceremony. Today they join their lives together. His people will be her people. Her people will be his people. Whatever they do, wherever they go, they go together." 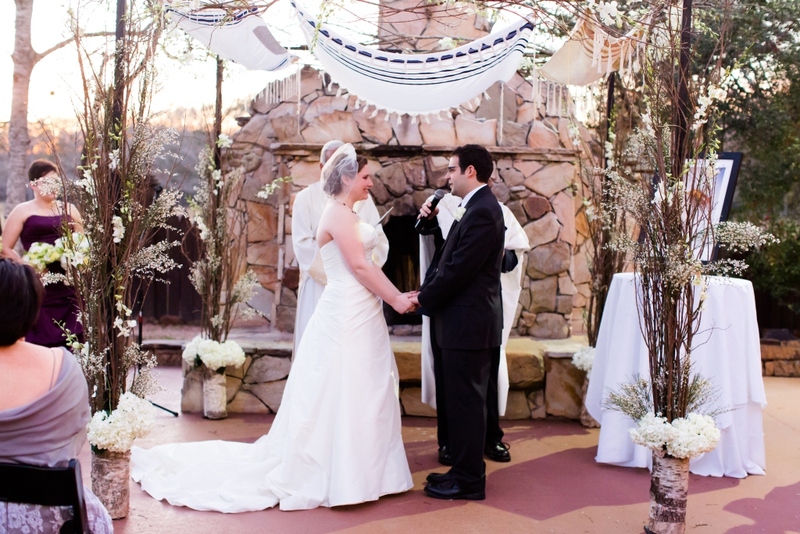 The Catholic wedding ceremony contains three readings- Old Testament, New Testament, and Gospel. 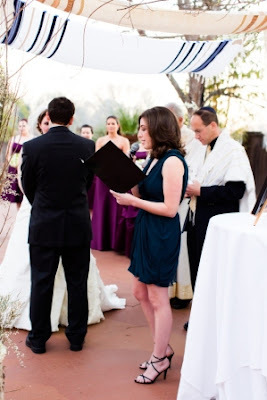 The Jewish wedding ceremony doesn't usually contain a reading. We decided to do 2 readings, 1 Torah/Old Testament and 1 New Testament. We picked Genesis 2:18-24, where God creates Eve from Adam's side (the Christian translation uses "rib," but Jewish mysticism suggests that the original Adam may have been either a hermaphrodite or had both male and female parts, which were separated here into two beings) as his helper. Then we chose Mark 10:6-9, where Jesus quotes our Genesis reading and says "What God has joined together, no human being must separate." The Torah reading was done by my cousin and the Gospel reading by Dan's sister-in-law (who is my sister-in-law now, too!). Both the Rabbi and Deacon prepared personal remarks about us to include in this part of the ceremony. You can read the Rabbi's remarks here. I, (name), take you, (name), to be my (wife/husband). I promise to be true to you in good times and in bad, in sickness and in health. I will love you and honor you all the days of my life. These rings represent the enduring trust and affection that you bring to one another, and are the outward and visible symbols of an inner spiritual bond. I give you this ring as a symbol of my commitment to you and to our partnership in life. 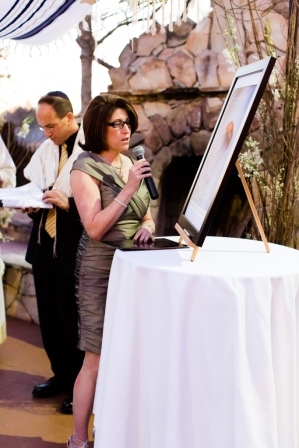 The rabbi briefly explained the ketubah tradition. Then my aunt read it aloud, and Dan and I, along with our two witnesses, signed it. One of my bridesmaids and one of Dan's groomsmen signed for us. 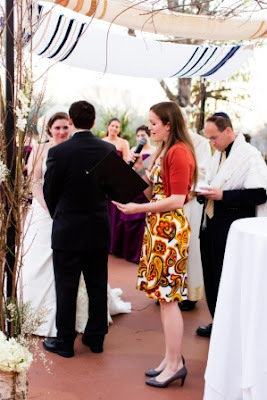 Though not a binding ketubah and not kosher witnesses, we did stick with the tradition that your witnesses not be related to either the bride or the groom. This is performed during the Catholic wedding ceremony. The Deacon very kindly tweaked the wording to make it interfaith. We went back and forth on this a lot, because we still wanted to represent the Catholic faith appropriately but didn't want to alienate the Jews in our midst. 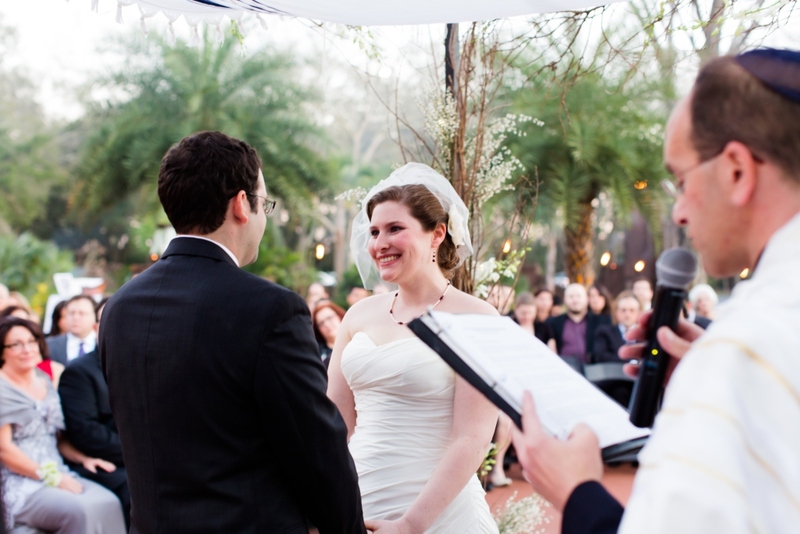 It eventually came down to feeling that neither of us should have to have anything in our wedding ceremony contrary to our beliefs, and calling him "Christ our Lord" definitely fell into that category. who today is united with her husband in the bond of marriage. so that they may rejoice together in your gift of married love. and be parents full of virtue. and turn to you in their sorrows. and know that you are with them in their need. and come at last to the kingdom of Heaven. We ask this in the name of our Lord. May the Lord shine his countenance upon you and be gracious to you. May the Lord look upon you with favor and grant you peace. 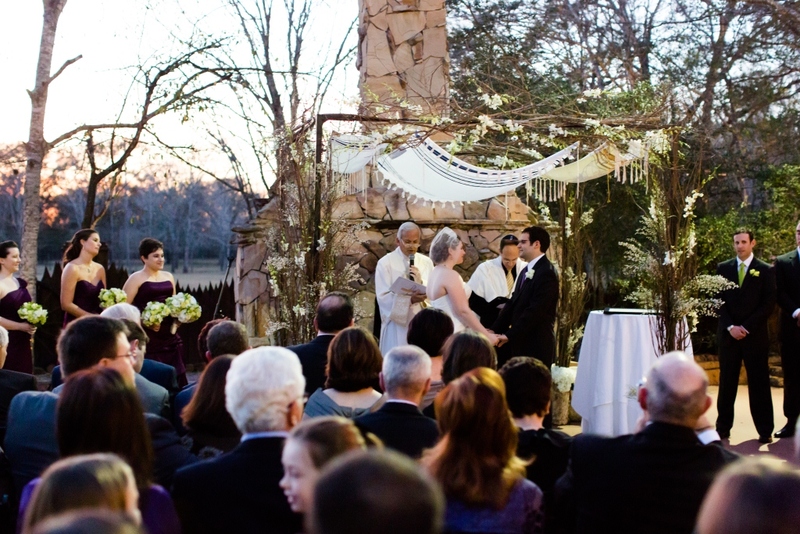 We were pronounced husband and wife, (according to the "Great State of Texas" because it's what you do here). 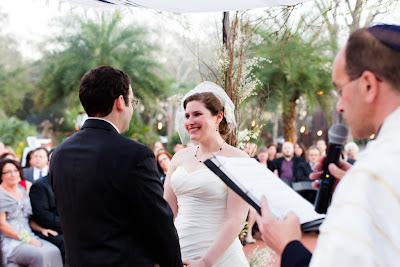 I argued for an egalitarian kiss-type wording, but Dan wanted them to say "You may now kiss the bride." I let him have that one. See the Nerds in Love page for more wedding goodness. "...But its going to be okay"